COLOGNE, Germany—The future of Twitter may be live, but CEO and co-founder Jack Dorsey couldn't make it to Dmexco to give his speech in person. Instead, Dorsey held a video conference with WPP CEO Martin Sorrell this morning to talk about livestreaming, revenue, growth challenges and where Twitter plans to invest going forward. All eyes in the media and tech worlds will be on Twitter tonight when it broadcasts its first NFL game, which pits the Buffalo Bills against the New York Giants. Dorsey's video call with Sorrell had technical difficulties, freezing up a few times. At one point, the video chat dropped completely, and Dorsey had to call back in after a few minutes—hopefully not a preview of what tonight's game will look like when the micro-blogging site will stream the game to potentially millions of football fans. "Every Thursday night, we see a ton of activity around tweets and people having a conversation about what they're seeing on the game and commentary and the meeting of people based around that interest," Dorsey said. The NFL games are only part of a bigger bet on live news and content that Dorsey said is a "much more disciplined approach" to building Twitter into the go-to hub of real-time news and event content. And live content is aimed at bringing in new users and growing the platform, which has been a persistent issue for the micro-blogging site. "We're really focusing a lot of our energy on live events like news, sports and entertainment," he said. "We'd love to also see a lot of the local content—we're really excited to have a lot of the [NCAA] college [football] games, I think we could bring a lot of strength to that." Dorsey added, "For a long time, Twitter has seen hundreds of use cases on our platform, and we really never [found] which one was the most important to strengthen. Earlier this year, we did—Twitter is what's happening, Twitter is about the news." According to Sorrell, WPP will spend $350 million with Twitter this year to run campaigns for clients, up from $150 million in 2014. Despite doubling its spend in the past two years, which "shows a significant degree of confidence in Twitter," Sorrell asked Dorsey about why Twitter's growth and revenue strategies have struggled. "We've been one of the innovators in terms of creating new ad formats for digital, specifically mobile," Dorsey replied. "We're busy right now making sure that we're really investing in better technology so that advertisers are spending less time on the system and more time focused on their campaigns and attracting new customers in new ways." In terms of concerns that Twitter's growth has stalled in the past couple of years, Dorsey pointed to the company's recent second-quarter earnings, when it reported 313 million users, up three million from the first-quarter. "We've been around for 10 years as a service, and we've been at the forefront of not only mobile advertising, but also just how people understand what's happening in the world," he said. When Sorrell asked Dorsey about speculation that Google, Apple and Facebook may buy Twitter, Dorsey dodged the question, but indicated that there won't be an acquisition anytime soon. 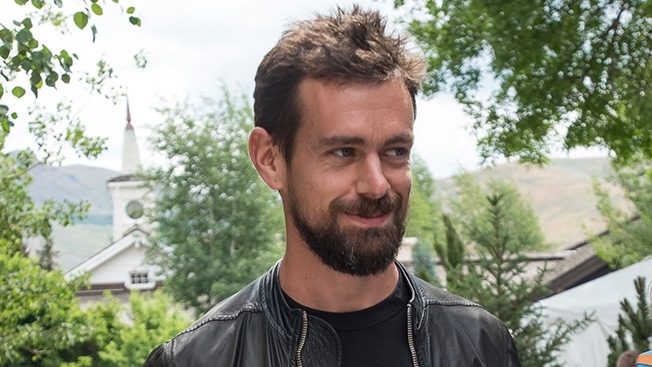 "We've always had a lot of speculation around what Twitter could become and where Twitter could go, but we have a really strong plan ahead of us—I think what gives me the most confidence is we're innovating at our core," Dorsey said. And similar to Snapchat exec Imran Khan's Dmexco keynote on Wednesday, Dorsey said that Twitter is not a social network like Facebook that's driven by an algorithm. "While we have social behaviors on our platform, you're not going to find the same things on Twitter that you would find on a social network," Dorsey said. "You're going to find what's happening in the world, you're going to find what matters."